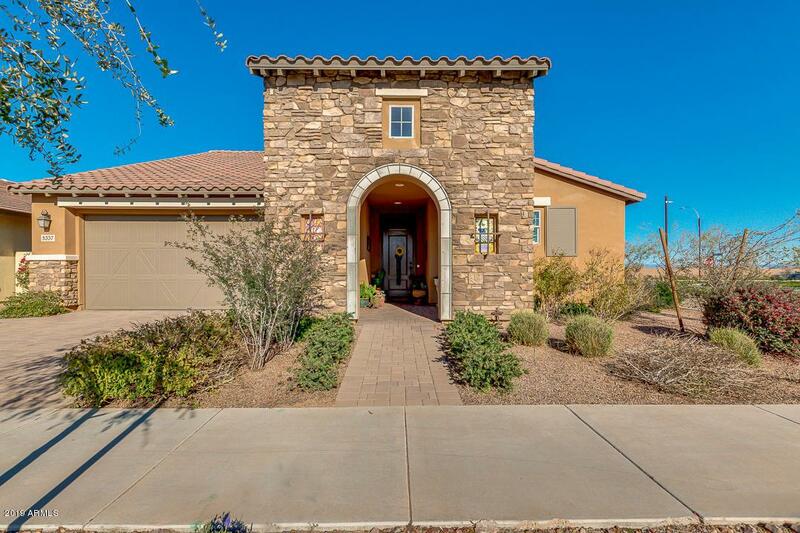 Amazing move-in ready home located in the Encore at Eastmark Community (active adult). 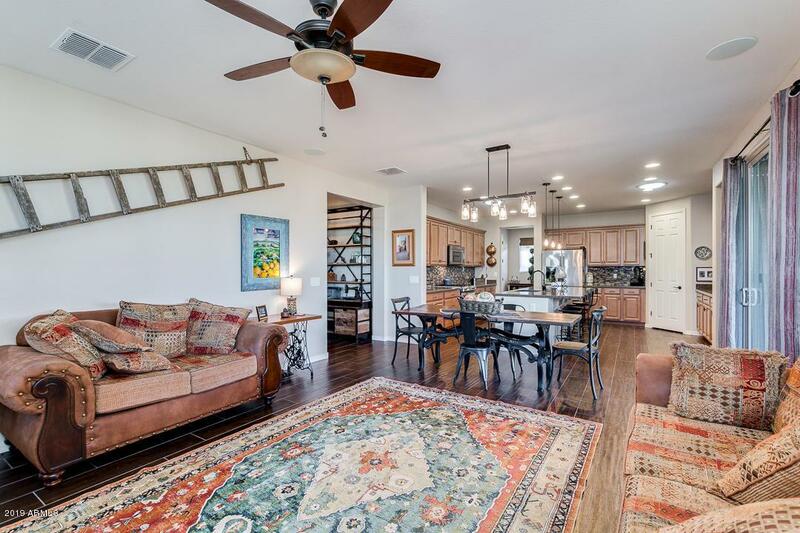 Pride of ownership is very apparent with this gorgeous home. 1761 sq ft of space for you to relax. Featuring 2 bedrooms, 2 baths, plus a nice sized den/office with French doors and a large kitchen! 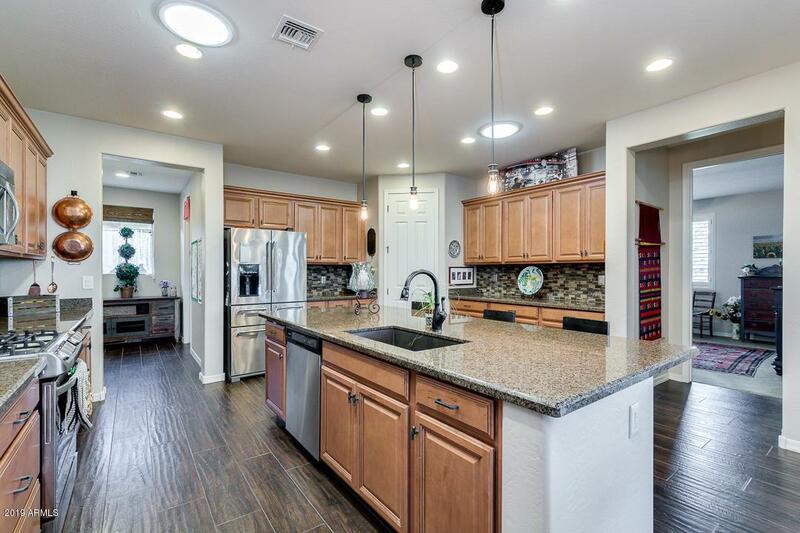 There are many builder upgrades such as Scottsdale Maple cabinets with Mocha Glaze and crown molding, a nine foot island with undermount kitchen sink, stainless steel appliances, upgraded plumbing and electrical fixtures, two-tone paint, upgraded flooring throughout, and that is just the inside! Located on a corner lot with no neighbors to one side or in the back. 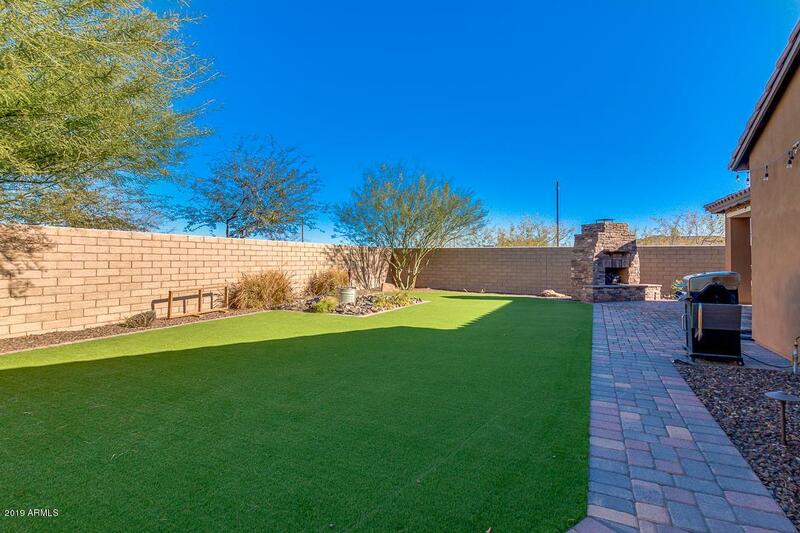 Both front and back yard have been professionally landscaped.